I have really wimpy lashes and so I'm always intrigued by new and/or trending mascaras to see if they can beef up my lashes a bit. I mostly go for waterproof formulas since they're the only thing that holds my curl, but I'll gladly accept free mascara samples to test out. I've been using these mascaras for the past couple of months and finally made time to sit down and write an overview of my thoughts. I stick pretty closely to the 3 month expiration date, but ended up keeping all of these until now. I initially thought mascara primers were a gimmick but I was able to find two that worked wonderfully on my lashes. The Urban Decay Subversion Lash Primer adds a lot of volume even with a light coat and the Benefit They're Real Tinted Lash Primer adds length and definition. I've repurchased Subversion before and I'm planning on getting both again around the holidays when I have more special occasions to look lashy and fluttery for. I have sensitive eyes and so I prefer not to use false lashes. 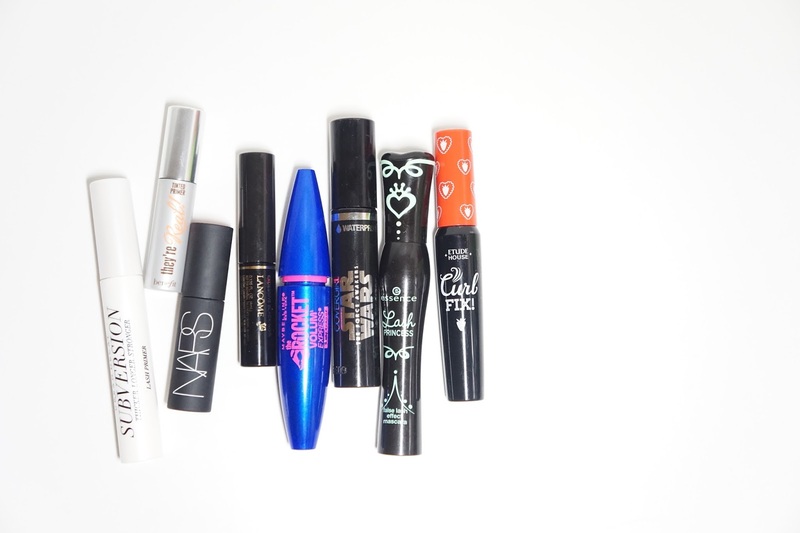 My favorites of the bunch are the Maybelline Rocket Waterproof Mascara and Etude House Lash Perm Curl-Fix Mascara. Both have great formulas and hold my curl pretty well. I'm planning on repurchasing both again in the future. I surprisingly liked the Lancome Hypnose Drama Mascara because it added so much volume without clumping, but unfortunately it did not hold my curl. The NARS Audacious Mascara seemed like it would be great, but the bristles would hurt my eyes by being too long and the mascara was so wet that my lashes clumped up and uncurled immediately. On the opposite side, the bristles on the CoverGirl SuperSizer Waterproof Mascara were too short and it would be hard to apply product to my lashes. It also smeared under my eyes and that's pretty rare with waterproof mascaras on me. The Essence Lash Princess False Lash Effect Mascara also smudged everywhere on me. It's a very lash plumping mascara, but it clumps super easily because it's also on the dry side. And that's my mascara medley round up! I can finally throw these away and make room for more products! 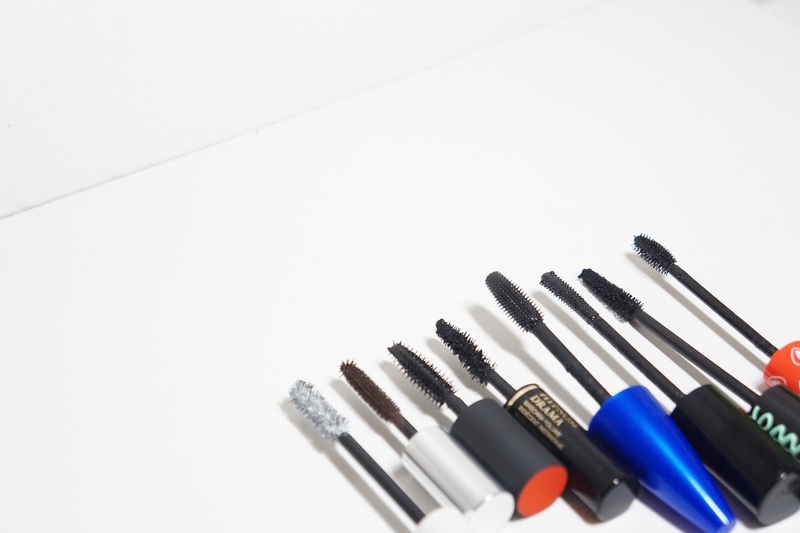 Have you tried any of these mascaras? 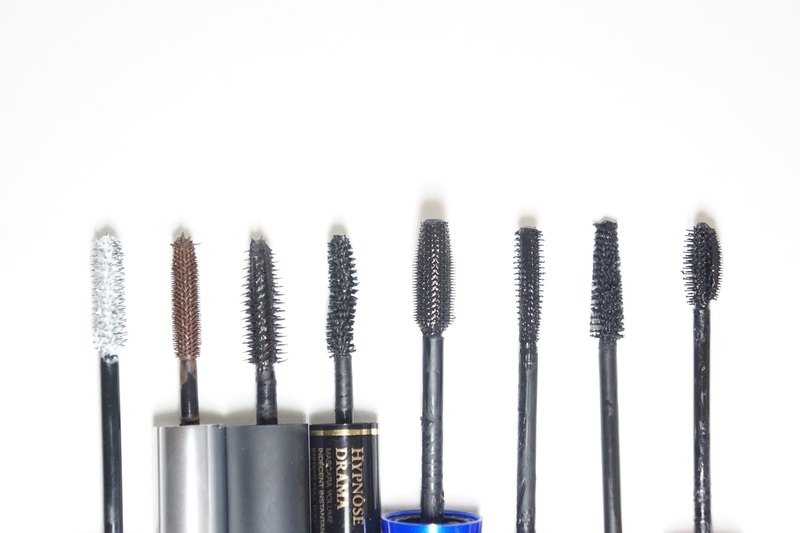 What's your favorite mascara?